The Travelling Morgue rolls into Nottingham for a day of spooky punk, goth rock and monster metal! 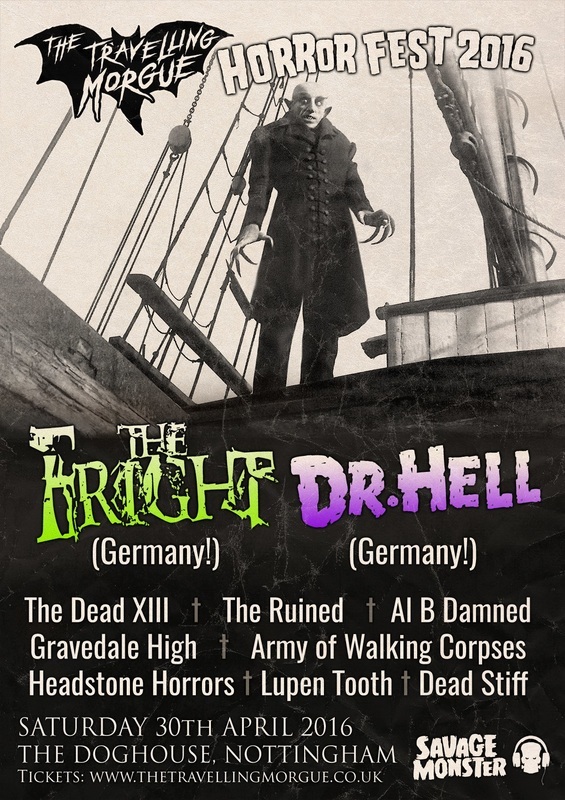 Headlined by German goth n' rollers The Fright who are in the UK for the first time and drunken German zombie punks Dr. Hell! In addition to that we have 8 awesome UK bands including new grave, horror metallers from Manchester- Dead XIII, shock rockers from Bournemouth Al B Damned, seasoned UK horrorpunkers the Ruined and more!